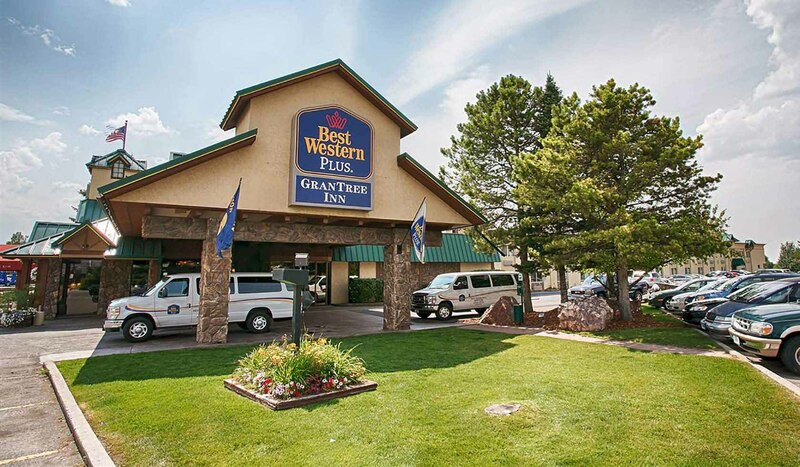 The Best Western Plus GranTree Inn is located in the beautiful Gallatin Valley. In addition to our friendly service, we offer great views, comfortable beds, beautifully decorated rooms, restaurant, lounge/casino, indoor pool and hot tub. The finest amenities in guest rooms that include 23 suites. Each room offers irons/ironing boards, coffee makers, safe, mini fridge, and microwaves. Also for your convenience we offer a complimentary airport shuttle and business center for guest use. Wireless Internet throughout hotel and high speed connection in guest rooms. Yellowstone National Park is located 90 miles south of Bozeman and Big Sky Ski & Summer Resort is located 40 miles south of Bozeman on Highway 191. Bridger Bowl is 16 miles north of Bozeman. The Gallatin River, Madison River, Jefferson River and the Yellowstone River are all located within 30 miles of Bozeman offering world class fly fishing. Lewis and Clark Caverns are 30 miles west of Bozeman. AAA 3 Diamond rated.